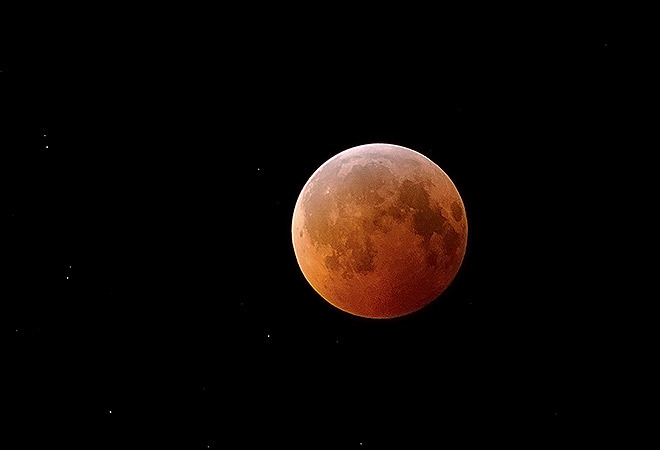 At 9:53 p.m. this evening, our pearly white moon will start slipping into the earth’s shadow, gradually approaching the darkest spot behind our planet and creating a “blood moon.” While the name could double as the moniker of an amateur metalcore band, it actually refers to the orb’s glowing red color as the result of a rare celestial phenomenon called a tetrad (in which the moon is thrown completely into the earth’s shadow for four eclipses in a row). Tonight, L.A. will witness the first of the vanishing acts, which are set to conclude in September 2015. The full eclipse, which will hit at 12:45 p.m., will cause the moon to assume a rusty-red color due to the refracted light of the world’s sunrises and sunsets bending onto the ‘ol Swiss cheese satellite’s surface. As if that weren’t poetic enough, Mars will also be in clear view, just above and to the right of the blood moon. Admission is free, with telescopes, binoculars, and the building’s roof all available for public use.